Stereoselective Preparation, Structures, and Reactivities of Phosphine-Bridged Mixed-Metal Trinuclear and Pentanuclear Complexes with Tris[2-(diphenylphosphino)ethyl]phosphine, S. Aizawa, K. Saito, T. Kawamoto, E. Matsumoto, Inorg. Chem., 45 (12), 4859-4866 (2006). 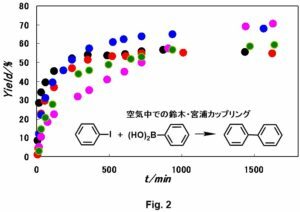 Mechanistic Studies on Halo-Ligand Substitution of Five-Coordinate Trigonal-Bipyramidal Palladium(II) Complexes of Tris(2-diphenyl-phosphinoethyl)-phosphine with Trimethylphosphite in Chloroform at Various Temperature and Pressures, S. Aizawa, T. Iida, S. Funahashi, Inorg. Chem., 35(18), 5163-5167 (1996). 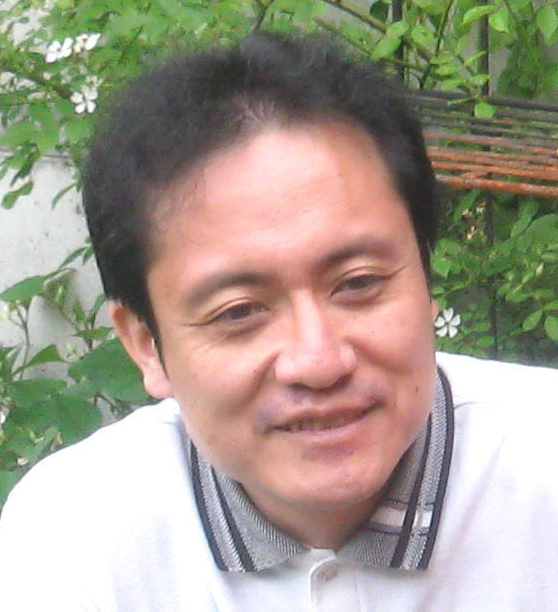 Synthesis, Structural Characterization, and Metalation of N-o-Tolyl-5,10,15,20-tetraphenylporphine : Deformation Effect Due to Bulky N-Substituent Group, S. Aizawa, Y. Tsuda, Y. Ito, K. Hatano, S. Funahashi, Inorg. Chem., 32(7), 1119-1123 (1993). 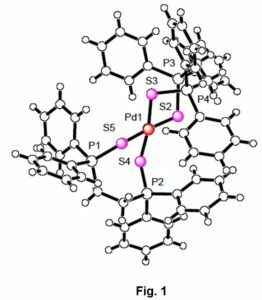 Octahedral-Tetrahedral Equilibrium and Solvent Exchange of Cobalt(II) Ions in Primary Alkylamines, S. Aizawa, S. Funahashi, Inorg. Chem., 41(17), 4555-4559 (2002). 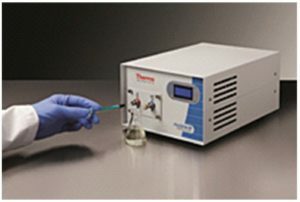 Nitrogen-14 NMR Study on Solvent Exchange of Octahedral Cobalt(II) Ion in Neat 1,3-Propanediamine and n-Propylamine at Various Temperatures and Pressures. Tetrahedral-Octahedral Equilibrium of Solvated Cobalt(II) Ion in n-Propylamine As Studied by EXAFS and Electronic Absorption Spectroscopy, S. Aizawa, S. Iida, K. Matsuda, S. Funahashi, Inorg. Chem., 35(5), 1338-1342 (1996). Vriable-Temperature and -Pressure Multinuclear Magnetic Resonance Studies on Solvent Exchange of Cobalt(II), Iron(II), and Manganese(II) Ions in Ethylenediamine, S. Aizawa, K. Matsuda, T. Tajima, M. Maeda, T. Sugata, S. Funahashi, Inorg. Chem., 34(8), 2042-2047 (1995). 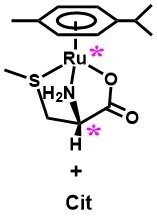 Air-Stable, Recyclable, and Regenerative Phosphine Sulfide Palladium(0) Catalysts for C−C Coupling Reaction, S. Aizawa, A. Majumder, Y. Yokoyama, M. Tamai, D. Maeda, A. Kitamura, Organomet. 28(20), 6067-6072 (2009). Mechanism of Catalytic Chalcogen-atom Replacement of Phosphine Chalcogenides and Separation of the Intermediate Phosphine, S. Aizawa, A. Majumder, D. Maeda, A. Kitamura, Chem. Lett., 38(1), 18-19 (2009). 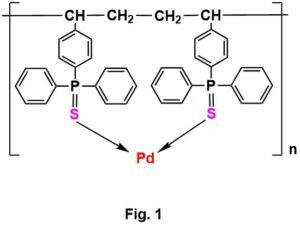 Application of palladium(II) complex with bidentate phosphine sulfide ligands to palladium-catalyzed C–C coupling reaction, S. Aizawa, M. Kondo, R. Miyatake, M. Tamai Inorg. Chim. 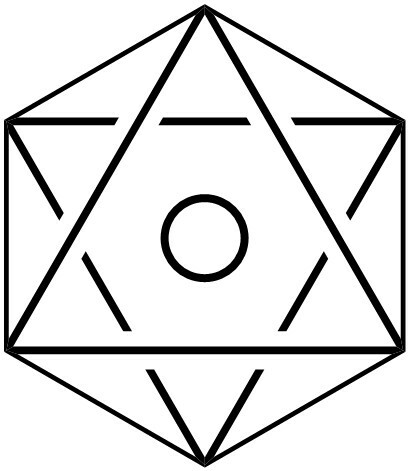 Acta, 360(8), 2809-2813 (2007). 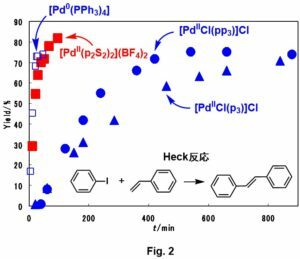 Rapid geometrical equilibrium of palladium(II) complexes with tris[2-(diphenylphosphino)ethyl]phosphine disulfide and diselenide and their catalytic activity for Suzuki coupling reaction, S. Aizawa, T. Hase, T. Wada J. Organomet. Chem., 692(4), 813-818 (2007). Readily Regenerative and Air-stable Palladium(0) Catalyst with Tris[2-(diphenylphosphino)ethyl]phosphine Tetrasulfide for C–C Coupling Reactions, S. Aizawa, M. Tamai, M. Sakuma, A. Kubo, Chem. Lett., 36(1), 130-131 (2007). Enantiomeric NMR Signal Separation Behavior and Mechanism of Samarium(III) and Neodymium(III) Complexes with (S,S)-Ethylenediamine-N,N’-Disuccinate, S. Aizawa, M. Okano, T. Kidani, Chirality, 29(6), 273- 281 (2017). 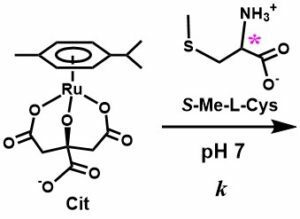 Polymer-Supported Optically Active fac(S)-Tris(thiotato)rhodium(III) Complex for Sulfur-Bridging Reaction with Precious Metal Ions, S. Aizawa, S. Tsubosaka, Chirality, 28(1), 85-91 (2016). 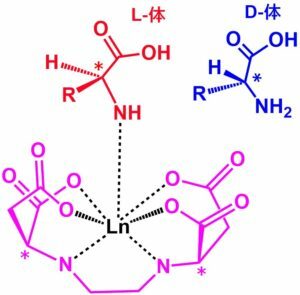 Simple Resolution of Enantiomeric NMR Signals of -Amino Acids by Using Samarium(III) Nitrate with L-Tartarate, S. Aizawa, T. Kidani, S. Takada, Y. Ofusa, Chirality, 27(5), 353-357 (2015). Mechanism of Change in Enantiomer Migration Order of Enantioseparation of Tartaric Acid by Ligand Exchange Capillary Electrophoresis with Cu(II) and Ni(II)―D-Quinic Acid Systems, S. Aizawa, S. Kodama, Electrophoresis, 33(3), 523-527 (2012). Simultaneous chiral resolution of monosaccharides as 8-aminonaphtalene-1,3,6-trisufonate derivatives by ligand exchange capillary electrophoresis using borate as a central ion of the chiral selector, S. Kodama, S. Aizawa, A. Taga, T. Yamashita, T. Kemmei, A. Yamamoto, K. Hayakawa, Electrophoresis, 28(21), 3930-3933 (2007). Chiral resolution of monosaccharides as 1-phenyl-3-methyl-5-pyrazolone derivatives by ligand exchange capillary electrophoresis using borate anion as a central ion of the chiral selector, S. Kodama, S. Aizawa, A. Taga, T. Yamashita, A. Yamamoto, Electrophoresis, 27(23), 4730-4734 (2006).